In an effort to make Camp Ondessonk more accessible to children of all economic means, three scholarship opportunities are available. General and St. Kateri scholarship recipients receive partial tuition coverage. Monsignor Fournie Scholarship recipients receive full tuition coverage. Click here to learn more about our Scholarship Funds and how you can help. Gifts to the Annual Fund Appeal help cover the operating costs of Camp Ondessonk so tuition can be kept affordable for our camper families. These gifts are unrestricted which means they are available to be used where the need is the greatest. Support our Camp Ondessonk Annual Appeal by making a donation now. Our campers cherish the memories and experiences provided by our beloved herd of 75+ horses, and our enthusiastic, dedicated riding instructors. Adopting a Horse is a great way to make a difference in the lives of thousands of Camp Ondessonk campers. For the adoption fee, adopters provide for food, veterinary care, equipment maintenance and replacement, and other needs for the horse of their choice. Click here to learn more about how you can Adopt a Horse, or download an Adopt a Horse Application. 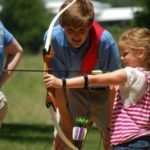 Many of us have a special activity, a program or a location at Camp Ondessonk that taps our happy memories. Some want to ensure that every child has the opportunity to experience the wonder of camping in the Shawnee National Forest. Whatever your interests, Ondessonk offers many oppotunities for you to support the area that interests you the most. Contact Camp at 618-695-2485 to learn more about giving a restricted gift. Camp is always in need of all those little things that help make camp run smooth. If you would rather make a purchase and donate it to camp, click here to see the latest Wish List! The list is updated frequently, so check back often.